It seems that rarely does a day go by now without there being some story about a hapless victim of reckless and fraudulent cosmetic surgery perpetrated by a greedy, poorly or non-trained physician who isn’t a plastic surgeon, by a non-physician medically related individual or even by an unlicensed, non-medical charlatan. How about an insurance agent? An illegal alien preying on vulnerable members of his/her immigrant community. A wretchedly unscrupulous individual out to make a buck (or a killing!). 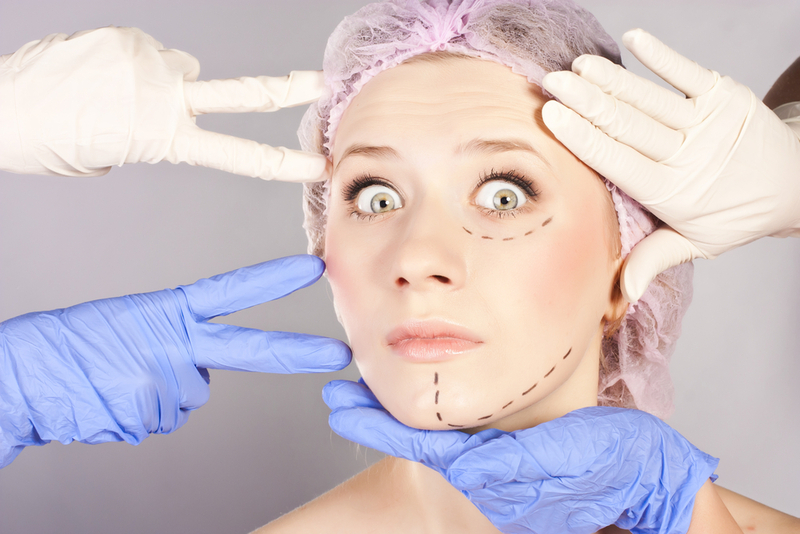 You may remember that just a few years ago here in Phoenix, Anthem in specific, an emergency room physician was convicted in the deaths of THREE of his patients on whom he had performed cosmetic surgery in his clinic (read full story). He was certified in internal medicine. His total training in cosmetic surgery consisted of 6 days of educational exposure with some “hands-on training” (whatever that means) in liposuction and breast augmentation. In other words, the proverbial “weekend course”. He did not do a plastic surgery or anesthesiology residency. Slick marketing, an extravagant office and an MD or DO after your name can intentionally deceive many. Even worse, most of these unscrupulous individuals don’t even have these 2 letters after their names. Of course, the deceptions don’t have to just involve surgical procedures. Many of the skincare or cosmetic clinics and spas that once were ubiquitous, provide substandard and ethically challenged treatments to unwary customers seeking to look better. Like using diluted or even outdated Botox® so that a person either pays for more units than received or is injected with ineffective product. This doesn’t even address the incompetent or substandard administration of dermal fillers such as Juvederm®, Restylane® or Radiesse®. I have seen countless victims of this in my office over the years and they are not happy at all about their experiences. Deciding where to seek cosmetic procedures is very important and should be taken seriously – and not just for a breast augmentation, tummy tuck, rhinoplasty or even liposuction – but also for injectables such as Juvederm®, Radiesse® and Botox®. Your decision should be based primarily on qualifications and reputation and then secondarily on price. FYI (no surprise) – I am both board certified by the American Board of Plastic Surgery and am a member of the American Society of Plastic Surgeons as well as the American Society of Aesthetic Plastic Surgery. For information on our services or regarding any cosmetic surgery procedure that I perform or to schedule your consultation, please call my office at 480-451-3000.